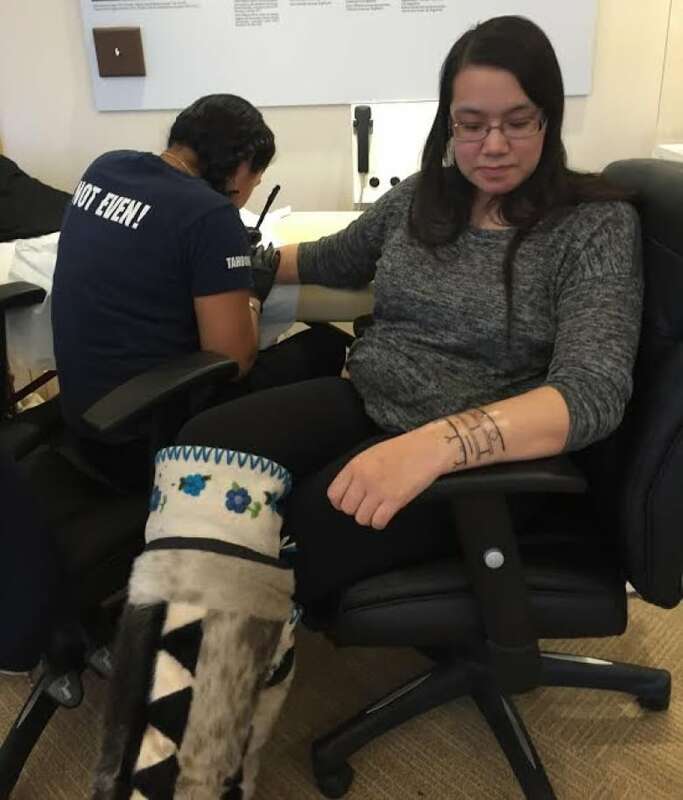 Last week in Kugluktuk, Nunavut, about 20 women took part in revitalizing the Inuit custom of women’s tattoos, a practice that was forbidden by Christian missionaries a century ago. Millie Angulalik broke down in sobs after seeing herself in the mirror. Her niece had practised her new skill flawlessly, creating an exact replica of a traditional Inuit facial tattoo on her aunt's face. "I feel so complete," said Angulalik. "Like really complete. I feel like flying like a bird." The lines on her forehead represent her parents, who have died. The lines on her chin represent her niece, parents and two sisters. "My mom and dad ... they're right there, they're the centre of me. They'll be with me forever to guide me through the Inuk way of life. This is so powerful and I'm really blessed my niece did it. "I've always been Inuk but this is real Inuk, you know? I love it, I'm so proud of myself for doing that. I know I'm going to be strong now to walk forward in life." Last week in Kugluktuk, Nunavut, about 20 women took part in revitalizing the Inuit custom of women's tattoos. 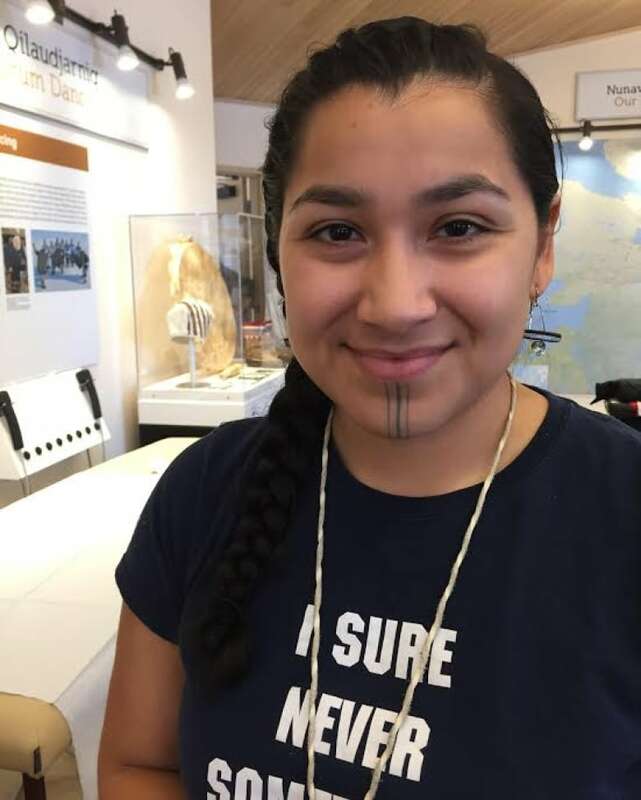 It was Angela Hovak Johnston's vision to bring the Traditional Inuit Tattoo Project to Kugluktuk, an Inuit community of about 1,500 that sits at the mouth of the Coppermine River. "It's part of our culture and it's part of our history," she said. Traditionally, Inuit women inked their skin to represent something of significance in their lives, from marriage to children or spiritual beliefs. The sacred practice was forbidden by Christian missionaries a century ago. Now a movement is happening in indigenous culture from Alaska to Nunavut that's bringing back the practice of traditional tattoos. 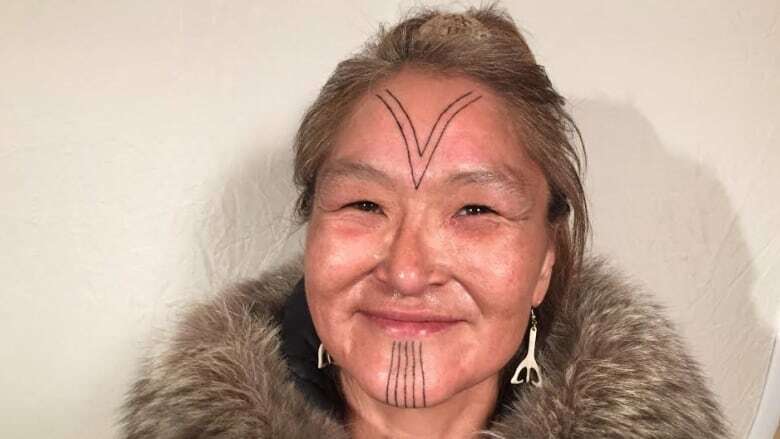 A Yellowknife resident, who got Inuit tattoos done on her own face eight years ago, Hovak Johnston wrote proposals and got the funding she needed to hold a five-day event that included a contemporary tattoo artist from Yellowknife and a traditional tattoo artist from Alaska. "I knew it was going to be really special but I didn't realize how the women really needed this and how much they're really craving to bring this back." Catherine Niptanatiak, one of the women participating in the event, designed her own tattoos. "I feel like I was supposed to have them," she said. Niptanatiak says she did her research first before getting tattoos. "Only chosen women got traditional tattoos and they were done at puberty and it meant she was capable of taking the full responsibilities of a woman, so going from young girl to young woman." "Because I've taken on the roles of a woman, I feel like this is the right time for me." Niptanatiak chose to have her wrists done using the traditional hand-poking technique using needle and ink. "It's not as painful," she said. "It's somehow relaxing and it doesn't take as long to heal, so I thought, perfect." She remained poised the entire time during her tattoo, which started in the morning and went well into the afternoon. Niptanatiak was the first woman of the group tattooed by Inupiat traditional tattoo artist Marjorie Tahbone. Tahbone grew up in Nome, Alaska, living a traditional lifestyle of subsistence hunting and gathering. 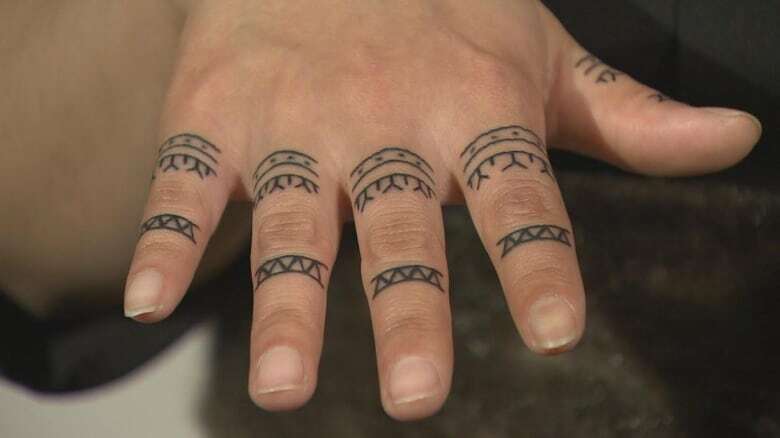 She was asked if she wanted to learn how to tattoo using the traditional hand-poke and skin-stitching methods by a Filipino-born tattoo artist who wanted to pass it on. She didn't hesitate to take the opportunity. "It's been asleep for so long, a hundred years, and so having it re-awoken and coming back into our lives is so important and vital," she said. Now Tahbone is passing on her knowledge to Hovak Johnston, who practised her new skills on her aunt, Millie Angulalik. "I'm going to tattoo other women," Hovak Johnston said. "I've learned the three different methods, I've learned how to use the tattoo gun for the modern way and I've learned how to do the poking and I've learned how to do the stitching. I've done all those three this past week and it's been such an honour." Cecile Lyall wanted her hands tattooed, choosing both the gun method and the traditional method to show her history. "It's a big part of coming into womanhood for Inuit women," she said. "My dad's originally from Cape Dorset ... so I got the zigzags here representing mountains, and I've lived in Taloyoak my whole life, which is the Netsilik region, so I got the 'Y' there to represent the tool for seal hunting." Dots were inked using the hand-poking technique, which Lyall said represents her ancestors, "so it was really important for me to have those done traditionally." The women were recognized and celebrated at a feast in the community on Friday night. Juanita Taylor is a reporter based in Yellowknife, N.W.T. She's also a radio and television host, newsreader and associate producer in current affairs. Juanita joined CBC North in 2008 and comes from Rankin Inlet and Arviat in Nunavut.